“When you have one chance at survival, we ought to take it,” he said, later clarifying to The Guardian that, at this point, he was that one chance at survival. 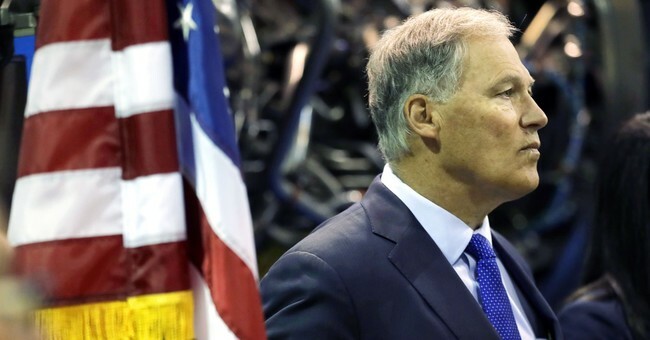 Despite Inslee’s claims that he could be the “last chance” to save humanity from climate change, he’s faced some tough questioning about his failure to lower greenhouse-gas emissions in Washington during his time as governor. They actually increased by 6.1 percent from 2012-2015. Inslee has repeatedly emphasized that fighting climate change is the sole focus of his 2020 campaign. However, many other Democrats have also embraced the issue. Sens. Bernie Sanders (I-VT), Kamala Harris (D-CA), and Elizabeth Warren (D-MA) have all backed Rep. Alexandria Ocasio-Cortez’s (D-NY) controversial Green New Deal resolution. One study estimates that implementing the resolution would cost $93 trillion over ten years.